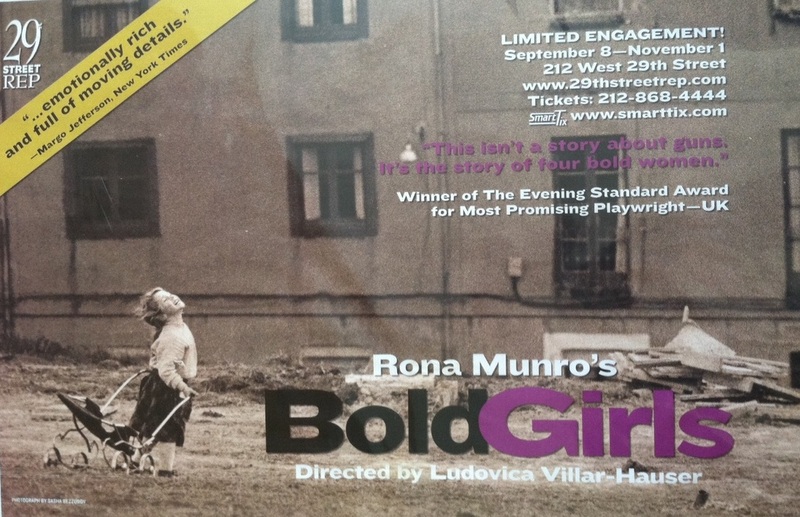 Bold Girls depicts the lives of four women from Belfast. The play examines their complex relationships and the lies and betrayal that are hidden just under the surface. After the arrival of a troubled teenage girl, their friendship and the tenuous threads that hold it together begin to unravel. "Ludovica Villar-Hauser directs with an alert eye and an even hand. Leisure gives way to tension, then to wary ease, then to tenderness. No small moment is sacrificed to a larger one. "